The loss of a child is the most devastating experience a parent can face-and missing the child never goes away. A piece of yourself is lost and your future is forever changed. The age of the child at the time of death does not lessen the hurt or devastation. It feels completely unnatural for a child to die before his or her parents. 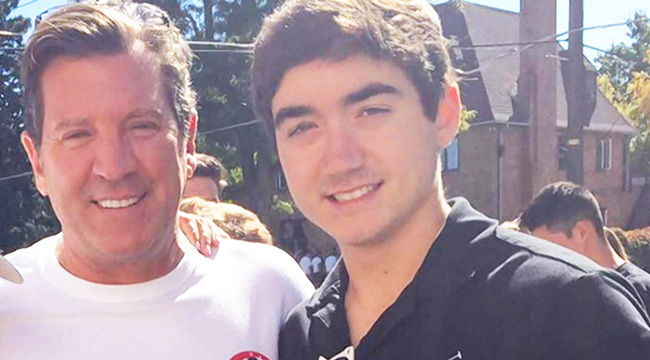 Sadly, on Friday, September 8, 2017, Eric Bolling, a well-known former Fox News commentator, received the devastating news that his son, Eric Chase Bolling, had died just days after starting his second year at the University of Colorado in Boulder. Just received some tragic news from the Coroner in Colorado. Eric Chase’s passing has been ruled an accidental overdose that included opioids. Adrienne and I thank you for your continued prayers and support. We must fight against this national epidemic, too many innocent victims. Compounding the devastating effect of this tragic news even more, Bolling had learned just hours before that he would be losing his high-profile job at Fox, and would no longer host the show Cashin’ In on Saturdays. Bolling was initially suspended in early August “pending the results of an investigation” into allegations by co-workers that he had sent lewd photos to them. The well-known host vowed to fight the allegations, and even threatened legal action against the Huffington Post reporter that initially broke the story. Bolling became a regular face at Fox after joining the Fox Business Network in 2007. He later moved over to Fox News, where he became one of the station’s most beloved conservative hosts. “Beyond the shocking death toll, the terrible measure of the opioid crisis includes the families ripped apart, and for many communities, a generation of lost potential and opportunity,” President Trump noted in his speech. How devastating it must be for the Bolling family to know that not only have they lost their beloved son, but that he has now become part of one of the most distressing statistics in our country. Our hearts go out to the Bolling family and all the other families who have lost loved ones to this devastating crisis.